126 SE OPAL WAY LAKE CITY FL. $1000 A MONTH MLS#99198 AVAILABLE 3/21/2019 ​CLICK ON PICTURE FOR MORE THIS IS A COZY 3 BEDROOM 2 FULL BATH HOME WITH 1041 SQUARE FEET OF LIVING SPACE AND A VERY WELL KEPT HOME. IT'S ON THE EAST SIDE OF LAKE CITY CLOSE TO SCHOOLS,BANKS AND SHOPPING. 1312 SW EUCLID STREET LIVE OAK FL. $1100 A MONTH MLS# 84291 AVAILABLE 3/25/19 CLICK ON PICTURE FOR MORE THIS IS A VERY NICE 3X 2 WITH 1280 SQ. FT. HOME WITH NEW CARPET NEW PAINT A 4TH ROOM FOR DEN. HAS A NICE PLAYGROUND JUST ACROSS THE STREET AND JUST MINUTES FROM TOWN. RENTED 3/20/2019.....847 SW EL PRADO AVE. LAKE CITY FL. MLS# $950 A MONTH AVAILABLE 3/15/2019 CLICK ON PICTURE FOR MORE THIS COZY HOME IS A 2 BED 1 BATH WITH SOLID FLOORING THROUGHOUT AND LOCATED CLOSE TO EVERYTHING ON A NICELY SHADED CORNER LOT. RENTED 3/15/2019...24066 ST.RD. 247 OBRIEN FL MLS#79549..... $1300 A MONTH AVAILABLE 3/15/2019 CLICK ON PICTURE FOR MORE THIS BEAUTIFUL 3 BED 2 BATH WITH 1740 SQ. FEET IS LOCATED BETWEEN LAKE CITY AND BRANFORD. HAS A FENCED IN BACKYARD AND A POOL OUT BACK. HAS SOLID FLOORING THROUGHOUT WITH LARGE OPEN SPACE INSIDE AND SCREENED IN BACK PORCH VERY QUIET HERE AND WELL MAINTAINED. RENTED 2/27/2019......MLS #86204...191 SW TEMPY PLACE DUPLEX #101 LAKE CITY FL. 32025 $1200 A MONTH AVAILABLE 12/20/2018 CLICK ON PICTURE FOR MORE THIS WELL MAINTAINED DUPLEX IS IN A SECLUDED SUBDIVISION KNOWN AS EDGEWOOD ESTATES JUST SOUTH OF TOWN IT'S A 2 BEDROOM 2 BATH AND HAS STORAGE OF A 10 X 20 OUTSIDE BUILDING. RENTED 2/11/2019.....1234 SW MONTGOMERY AVE. LAKE CITY FL. $1500 A MONTH MLS# AVAILABLE 2/5/2019 CLICK ON PICTURE FOR MORE THIS GORGEOUS 4 X 2 1/2 BATH HOME WITH APPROX 2534 SQ. FT AND HAS A NICE SCREENED IN BACK PORCH WITH A VIEW! IS CENTRALLY LOCATED IN TOWN WITH A LARGE FENCED IN BACKYARD ON A DEAD END STREET. RENTED 2/1/2019.....145 SE OSCEOLA PLACE LAKE CITY $1100 A MONTH MLS# 97956 AVAILABLE 1/10/2019 CLICK ON PICTURE FOR MORE VERY NICE 3X2 HOME WITH 1532 SQ.FT ON THE EAST SIDE OF LAKE CITY ON THE CORNER OF A DEAD END STREET WITH A FENCED IN BACKYARD. RENTED 1/25/19....1009 SW CHARLESTON COURT LAKE CITY MLS#103027 $1500 A MONTH AVAILABLE 12/20/2018. CLICK ON PICTURE FOR MORE. A BEAUTIFUL 3 BED 2 BATH HOME WITH 1800 SQ. FT.CENTRALLY LOCATED TO SCHOOLS AND EVERYTHING ELSE. AND IS ON A DEAD END STREET. 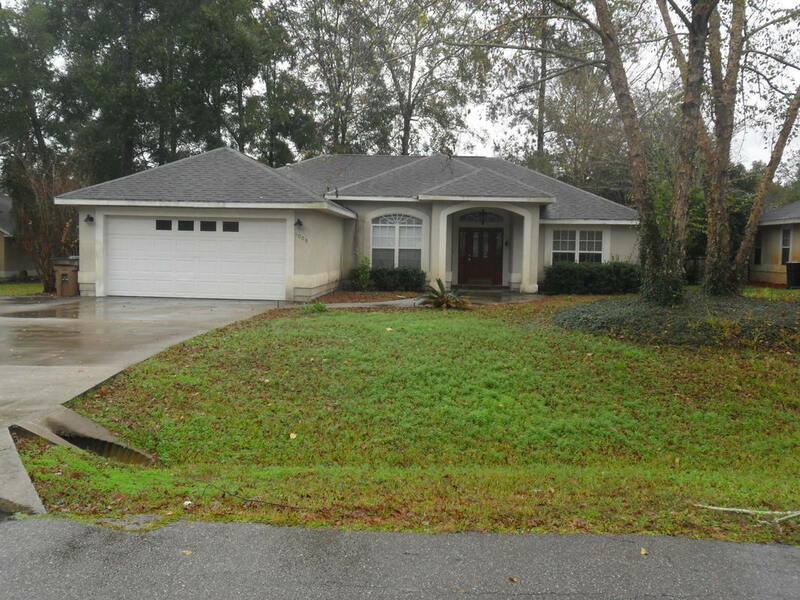 RENTED 1/21/2019.....447 NW HAMILTON STREET LAKE CITY FL. $900 A MONTH AVAILABLE 1/10/2019 MLS# 103168 CLICK ON PICTURE FOR MORE BEAUTIFULLY REMODELED 2 BEDROOM 1 BATH HOME WITH 1370 SQ. FT. EVERYTHING INSIDE IS NEW INCLUDING ALL APPLIANCES AND WASHER, DRYER. SMALL FENCED IN BACKYARD. EXCELLENT LOCATION FROM THE PARK, THE LAKE AND SHOPPING, BANKING THE VA HOSPITAL AND DOWNTOWN ACTIVITIES. RENTED 1/15/2019 MLS #99200...918 NE OKINAWA STREET LAKE CITY FL. 32055 $750 A MONTH AVAILABLE 12/15/2018 CLICK ON PICTURE FOR MORE THIS 2 BEDROOM 1 BATH HOME IS LOCATED ON THE FAR EAST SIDE OF TOWN AND NEAR THE AIRPORT AND COLLEGE ON A QUIET SHADY LOT. RENTED 379 NW HARRIS LOOP LAKE CITY MLS# 90101 AVAILABLE 12/25/2018 $1500 A MONTH. RENTED 1/2/2019 CLICK ON PICTURE FOR MORE. THIS PLUSH 4 BED 3 BATH WITH 2169 SQ. FT. IS LOCATED IN THE LAKE CITY COUNTRY CLUB NEAR THE 8TH HOLE ON A BEAUTIFUL COURSE AND A QUIET NEIGHBORHOOD. 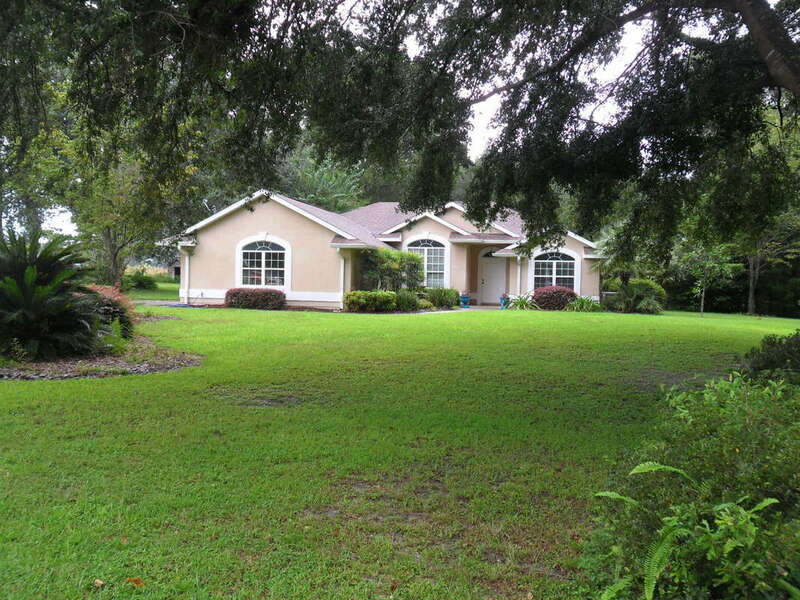 RENTED MLS #92889...633 NW PALM DRIVE LAKE CITY FL. $1200 A MONTH AVAILABLE 11/30/2018.....RENTED 12/28/2018 1700 SQUARE FEET AND IS A 3 BEDROOM 2 FULL BATH AND IS LOCATED RIGHT IN TOWN SO IT'S CLOSE TO EVERYTHING . THE FLOOR PLAN GIVES THE MASTER BEDROOM ITS OWN SEPARATE END OF THE HOME FOR TOTAL PRIVACY. RENTED 185 SW MCFARLAND AVE. LAKE CITY MLS #102731 AVAILABLE 12/19/2018 RENTED 12/21/2018 $1500 A MONTH ​CLICK ON PICTURE FOR MORE THIS BEAUTY IS A 4 BEDROOM 3 BATH 2 STORY HOME WITH 2500 SQ. FEET WITH DUEL CENTRAL A/C. FENCED IN BACKYARD LOCATED IN CENTRAL LAKE CITY CLOSE TO EVERYTHING. RENTED ​169 SW VERMONT WAY LAKE CITY FL. $1400 A MONTH MLS#102840 AVAILABLE 11/20/2018 CLICK ON PICTURE FOR MORE RENTED 11/23/2018 THIS BEAUTY IS A 2 BED 2 BATH BUT WITH VERY LARGE ROOMS AND IS LOCATED JUST SOUTH OF TOWN, BUT IN QUIET WOODED SUBDIVISION WITH A FENCED IN BACKYARD AND NICE SCREENED IN BACK PORCH. RENTED MLS#88004...473 SE EVERGREEN DRIVE LAKE CITY FL. 32025 $1500 A MONTH AVAILABLE 10/25/2018 RENTED 11/1/2018 CLICK ON PICTURE FOR MORE THIS BEAUTIFUL HOME IS A 3 BEDROOM 2 FULL BATH WITH A LARGE LIVING ROOM AND NICE SCREENED IN BACK PORCH NEAR THE VA HOSPITAL AND JUST ACROSS FROM ALLIGATOR LAKE. RENTED 607 SE CAMP STREET LAKE CITY FL. 32025 RENTED 10/31/2018 MLS#79555 AVAILABLE 10/27/2018 $800 A MONTH CLICK ON PICTURE FOR MORE THIS HOME IS A 2 BEDROOM 1 BATH 960 SQUARE FOOT. IT'S LOCATED JUST A FEW BLOCKS FROM THE VA HOSPITAL, AND JUST ABOUT EVERYTHING YOU WOULD NEED ON A DAY TO DAY BASIS IS WITHIN WALKING DISTANCE. IT HAS CENTRAL AIR AND HEAT AND GAS COOKING A WASHER AND DRYER AND NICE BACKYARD WITH A STORAGE SHED. RENTED 111 SE TRISTON LANE LAKE CITY FL. 32025 $800 A MONTH AVAILABLE 8/21/2018 MLS#101966 CLICK ON PICTURE FOR MORE MUST BE 55 OR OVER TO RESIDE HERE. THIS 2 BEDROOM 2 BATH HOME WITH 920 SQUARE FEET IS LOCATED IN A RETIREMENT COMMUNITY KNOWN AS EASTSIDE VILLAGE . HOME OWNERS FEE IS $35 AS MONTH AND SEWAGE IS $44 A MONTH NOT INCLUDED IN THE RENT. THIS IS A VERY WELL KEPT HOME WITH CENTRAL HEAT AND AIR. RENTED 397 NW HAMILTON STREET LAKE CITY FL 32055 $900 A MONTH AVAILABLE 8/27/2018 MLS#102056 RENTED 9/9/2018 THIS HOME IS LOCATED RIGHT IN TOWN WITH 3 BEDROOMS AND 2 BATHS WITH 1300 SQUARE FEET. HAS CENTRAL HEAT AND AIR AND IS WITHIN EASY WALKING DISTANCE TO BANKS AND SHOPPING. RENTED 782 SW WALTER AVE. LAKE CITY $1500 A MONTH AVAILABLE 7/1/2017 RENTED 7/3/2017 MLS#99064 THIS BEAUTY IS JUST MINUTES FROM TOWN AND FEATURES A 3 BEDROOM 2 BATH FLOOR PLAN WITH OVER 1600 SQ. 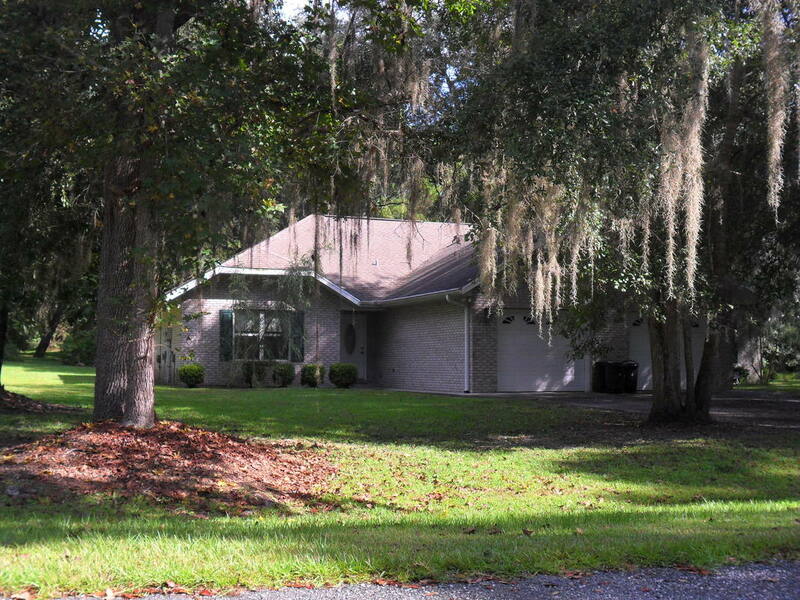 FT. OF LIVING SPACE NESTLED BETWEEN LARGE SHADY OAK TREES ON JUST UNDER AN ACRE. HAS MODERN STAINLESS STEEL APPLIANCES IN THE KITCHEN AND A SPACIOUS BACKYARD PATIO. 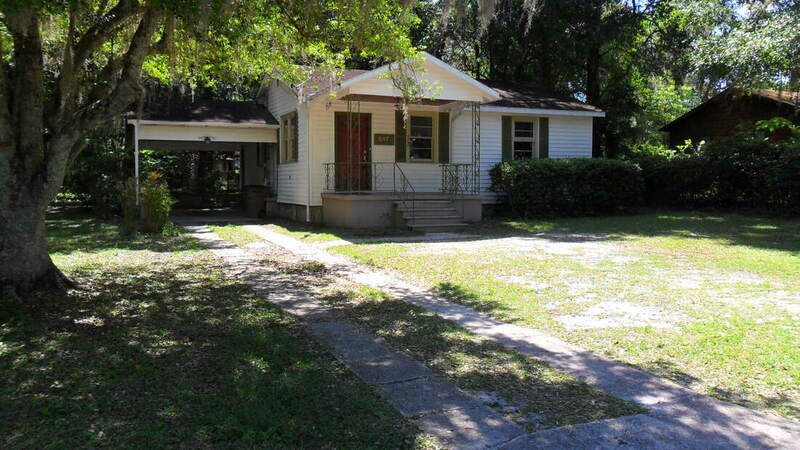 RENTED MLS #96249...501 SE BROWN STREET LAKE CITY FL. 32055 $950 A MONTH AVAILABLE 10/10/2018 CLICK ON PICTURE FOR MORE THIS 3 BEDROOM 1 BATH HOME HAS A BEAUTIFUL BACKYARD WITH A GIANT DECK AND LOCATED JUST A COUPLE OF BLOCKS FROM THE VA HOSPITAL AND WITHIN WALKING DISTANCE TO SHOPPING AND BANKING & SCHOOLS. 126 SE OPAL WAY LAKE CITY FL. THIS IS A COZY 3 BEDROOM 2 FULL BATH HOME WITH 1041 SQUARE FEET OF LIVING SPACE AND A VERY WELL KEPT HOME. IT'S ON THE EAST SIDE OF LAKE CITY CLOSE TO SCHOOLS,BANKS AND SHOPPING. 1312 SW EUCLID STREET LIVE OAK FL. THIS IS A VERY NICE 3 X 2 WITH APPROX 1280 SQ. FT. HOME WITH NEW CARPET NEW PAINT A 4TH ROOM FOR DEN. HAS A NICE PLAYGROUND JUST ACROSS THE STREET AND JUST MINUTES FROM TOWN. 847 SW EL PRADO AVE. LAKE CITY FL. THIS COZY HOME IS A 2 BED 1 BATH WITH SOLID FLOORING THROUGHOUT AND LOCATED CLOSE TO EVERYTHING ON A NICELY SHADED CORNER LOT. THIS BEAUTIFUL 3 BED 2 BATH WITH 1740 SQ. FEET IS LOCATED BETWEEN LAKE CITY AND BRANFORD. HAS A FENCED IN BACKYARD AND A POOL OUT BACK. HAS SOLID FLOORING THROUGHOUT WITH LARGE OPEN SPACE INSIDE AND SCREENED IN BACK PORCH VERY QUIET HERE AND WELL MAINTAINED. THIS WELL MAINTAINED DUPLEX IS IN A SECLUDED SUBDIVISION KNOWN AS EDGEWOOD ESTATES JUST SOUTH OF TOWN IT'S A 2 BEDROOM 2 BATH AND HAS STORAGE OF A 10 X 20 OUTSIDE BUILDING. 1234 SW MONTGOMERY AVE. LAKE CITY FL. THIS GORGEOUS 4 X 2 1/2 BATH HOME WITH APPROX 2534 SQ. FT AND HAS A NICE SCREENED IN BACK PORCH WITH A VIEW! IS CENTRALLY LOCATED IN TOWN WITH A LARGE FENCED IN BACKYARD ON A DEAD END STREET. VERY NICE 3X2 HOME WITH 1582 SQ. FT. ON THE EAST SIDE OF LAKE CITY ON THE CORNER OF A DEAD END STREET WITH A FENCED IN BACKYARD. A BEAUTIFUL 3 BED 2 BATH HOME WITH 1800 SQ. FT. CENTRALLY LOCATED TO SCHOOLS AND EVERYTHING ELSE. AND IS ON A DEAD END STREET. BEAUTIFULLY REMODELED 2 BEDROOM 1 BATH HOME WITH 1370 SQ. FT. EVERYTHING INSIDE IS NEW INCLUDING ALL APPLIANCES AND WASHER, DRYER. SMALL FENCED IN BACKYARD. EXCELLENT LOCATION FROM THE PARK, THE LAKE AND SHOPPING, BANKING THE VA HOSPITAL AND DOWNTOWN ACTIVITIES. 580 NW FOREST MEADOWS AVE. THIS 2 BEDROOM 1 BATH HOME IS LOCATED ON THE FAR EAST SIDE OF TOWN AND NEAR THE AIRPORT AND COLLEGE ON A QUIET SHADY LOT. THIS PLUSH 4 BED 3 BATH WITH 2169 SQ. FT. IS LOCATED IN THE LAKE CITY COUNTRY CLUB NEAR THE 8TH HOLE ON A BEAUTIFUL COURSE AND A QUIET NEIGHBORHOOD. ​21664 41ST ROAD BRANFORD FL. THIS COZY COUNTRY HOME IS IN EXCELLENT CONDITION AND SITS IN THE CORNER OA 200 ACRE PINE FOREST WITH NO NEIGHBORS IN SIGHT. VERY QUIET AND PRIVATE LOCATION. 633 NW PALM DRIVE LAKE CITY FL. THIS HOME HAS OVER 1700 SQUARE FEET AND IS A 3 BEDROOM 2 FULL BATH AND IS LOCATED RIGHT IN TOWN SO IT'S CLOSE TO EVERYTHING THE FLOOR PLAN GIVES THE MASTER BEDROOM ITS OWN SEPARATE END OF THE HOME FOR TOTAL PRIVACY. THIS SPACIOUS BEAUTY IS A 4 BEDROOM 3 BATH 2 STORY HOME WITH 2500 SQ. FEET WITH DUEL CENTRAL A/C. FENCED IN BACKYARD LOCATED IN CENTRAL LAKE CITY CLOSE TO EVERYTHING. ​169 SW VERMONT WAY LAKE CITY FL. THIS BEAUTY IS A 2 BED 2 BATH BUT WITH VERY LARGE ROOMS AND IS LOCATED JUST SOUTH OF TOWN, BUT IN QUIET WOODED SUBDIVISION WITH A FENCED IN BACKYARD AND NICE SCREENED IN BACK PORCH. THIS BEAUTIFUL HOME IS A 3 BEDROOM 2 FULL BATH WITH A LARGE LIVING ROOM AND NICE SCREENED IN BACK PORCH NEAR THE VA HOSPITAL AND JUST ACROSS FROM ALLIGATOR LAKE. ​607 SE CAMP STREET LAKE CITY FL. THIS HOME IS A 2 BEDROOM 1 BATH 960 SQUARE FOOT. IT'S LOCATED JUST A FEW BLOCKS FROM THE VA HOSPITAL, AND JUST ABOUT EVERYTHING YOU WOULD NEED ON A DAY TO DAY BASIS IS WITHIN WALKING DISTANCE. IT HAS CENTRAL AIR AND HEAT AND GAS COOKING A WASHER AND DRYER AND NICE BACKYARD WITH A STORAGE SHED. MUST BE 55 OR OVER TO RESIDE HERE THIS 2 BEDROOM 2 BATH HOME WITH 920 SQUARE FEET IS LOCATED IN A RETIREMENT COMMUNITY KNOWN AS EASTSIDE VILLAGE . HOME OWNERS FEE IS $35 AS MONTH AND SEWAGE IS $44 A MONTH NOT INCLUDED IN THE RENT. THIS IS A VERY WELL KEPT HOME WITH CENTRAL HEAT AND AIR. THIS HOME IS LOCATED RIGHT IN TOWN WITH 3 BEDROOMS AND 2 BATHS WITH 1300 SQUARE FEET. HAS CENTRAL HEAT AND AIR AND IS WITHIN EASY WALKING DISTANCE TO BANKS AND SHOPPING. THIS BEAUTY IS JUST MINUTES FROM TOWN AND FEATURES A 3 BEDROOM 2 BATH FLOOR PLAN WITH OVER 1600 SQ. 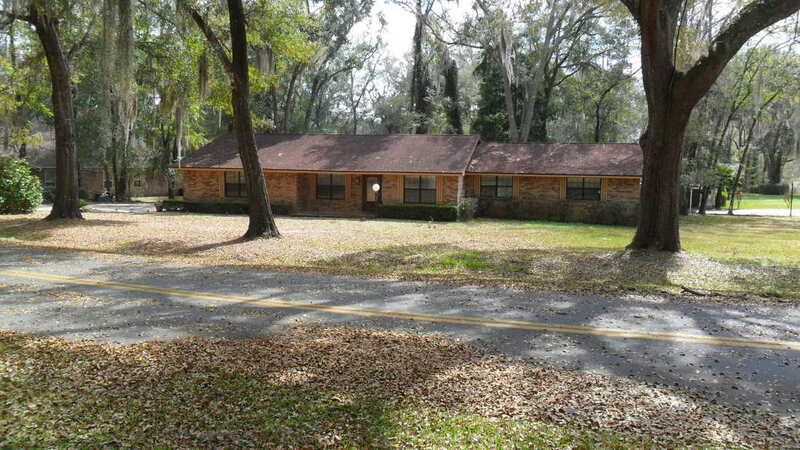 FT. OF LIVING SPACE NESTLED BETWEEN LARGE SHADY OAK TREES ON JUST UNDER AN ACRE. HAS MODERN STAINLESS STEEL APPLIANCES IN THE KITCHEN AND A SPACIOUS BACKYARD PATIO. THIS 3 BEDROOM 1 BATH HOME HAS A BEAUTIFUL BACKYARD WITH A GIANT DECK AND LOCATED JUST A COUPLE OF BLOCKS FROM THE VA HOSPITAL AND WITHIN WALKING DISTANCE TO SHOPPING AND BANKING & SCHOOLS.